If you want to experience San Antonio TX and the surrounding area and you don’t want to fork over a ridiculous amount of money on a hotel room then the very best way to explore San Antonio is in an RV rental. Or if you are making San Antonio your starting point for an amazing adventure you then renting an RV or camper trailer is the best way to go. San Antonio has some professional sports teams and is close to a major military base so there is always something to do. And lets not forget the Alamo and the river walk which are two must sees when you are in town. You are located near some some lakes and some wide open spaces of Texas. 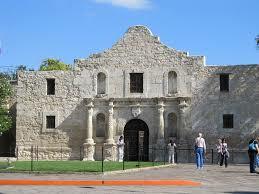 San Antonio is a great starting point if you want to do some major exploring of Texas. The best way to explore Texas is in an RV rental. This one is my favorite by far. Unfortunately I only discovered this a couple years and since then it has come a long way as far as ease of use and people using it. How it works is you go to one of two websites out there and you put in where you want to rent an RV and then it will pull up a bunch of different RVs that people are wanting to rent out near the location you put in. 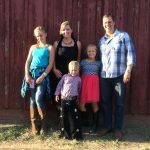 So you have bunch of RV owners wanting to rent their RV and this website facilitates all the payments, paperwork and insurance. So as a renter all you have to do is put in the RV you want, pay and then off you go. You have two main companies to choose from when you do this. You have RVShare and Outdoorsy. I have only used RVShare but I have heard good things about Outdoorsy. Read my review of RVShare here. I had an awesome experience but remember you are dealing with people on the other end and not some big company. All that RVShare and Outdoorsy does is facilitate the exchange of money and insurance and make sure no one gets screwed over. But don’t wait till the last minute to rent an RV because not all people will get back to you when you say you want to rent their RV. The next way to rent an RV is through a dealership. I have never rented an RV this way way it is a popular way to rent one because why not. The dealerships sell them and have a repair and maintenance shop so why not buy a handful and rent them out. Not every dealership does this so you are going to have to search and find one. It does tend to be a little bit more expensive this way but you are dealing with a company that maintains the RVs and are very concerned about their reputation. If you are renting on a busy weekend then be careful because they will sell out fast. Overall this is another good way to rent an RV. Not every city will have this option but a lot of places do especially if they are popular tourist destinations. You basically have a brick and mortar place that specializes in only renting RVs and camper trailers. I have never used this option but I have done extensive research on it. I have seen prices all over the place from really expensive to really affordable. Make sure you do your research and check them out online and see what type of reviews they have and remember some people will never be happy and only leave cranky reviews. You have several options when renting an RV in San Antonio. The peer to peer option is my favorite but not everyone is comfortable renting that way so that is why I gave you a few different options. Whatever way you choose make sure you have fun and be careful.